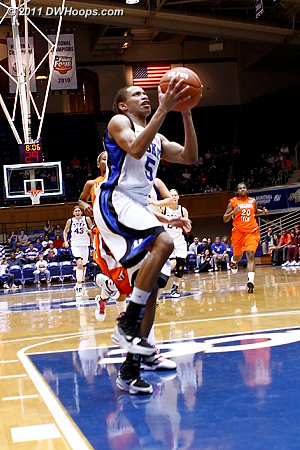 All photos have been published. 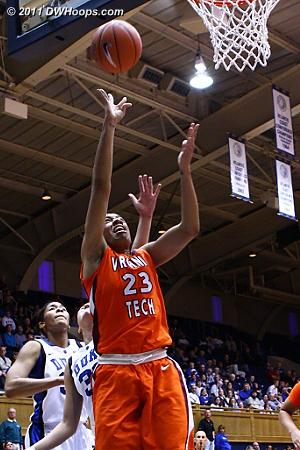 Alyssa Fenyn hit a corner three for Tech at the 18:06 mark, they wouldn't get another. 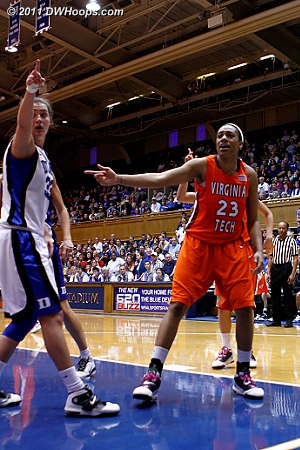 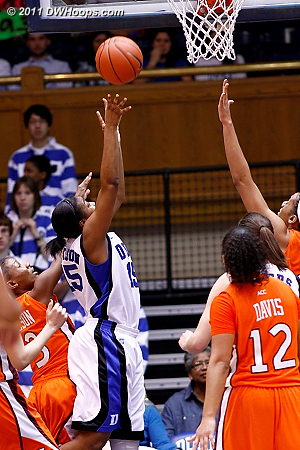 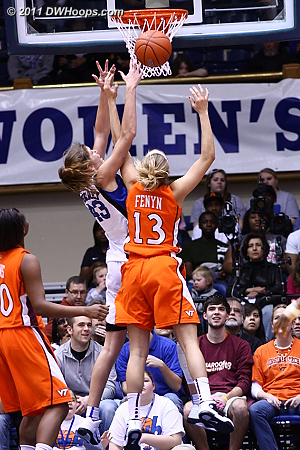 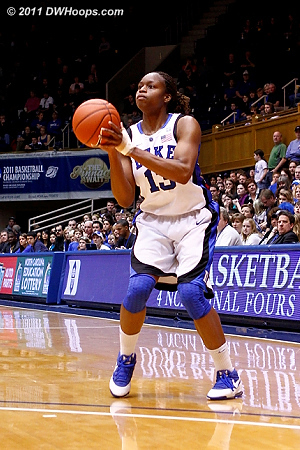 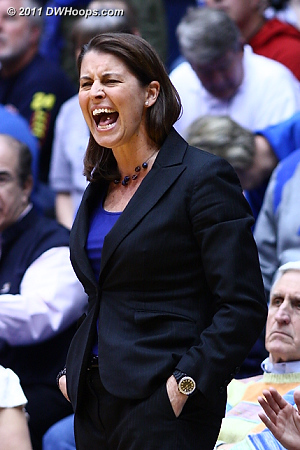 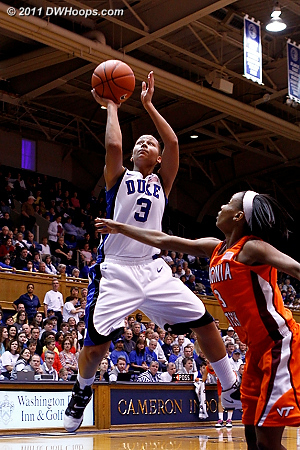 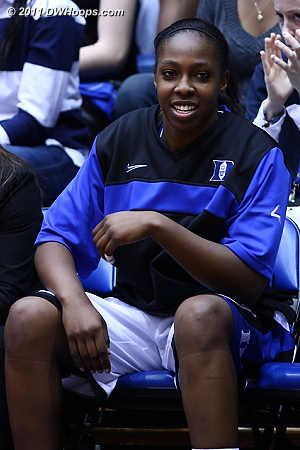 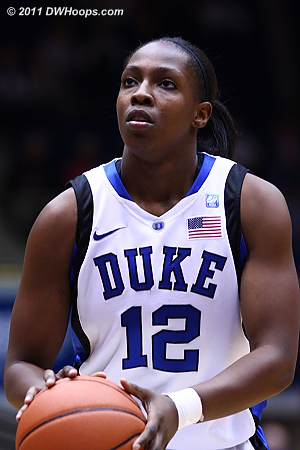 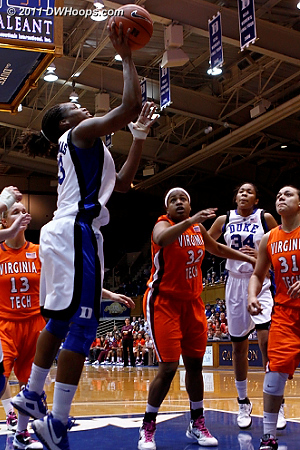 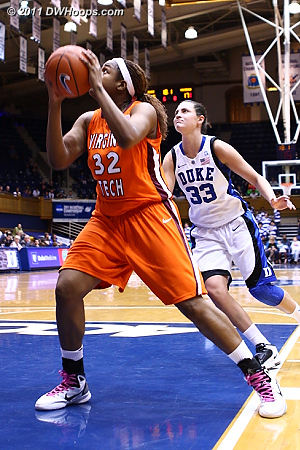 Chelsea Gray scored Duke's first four points, two from the floor and two from the line. 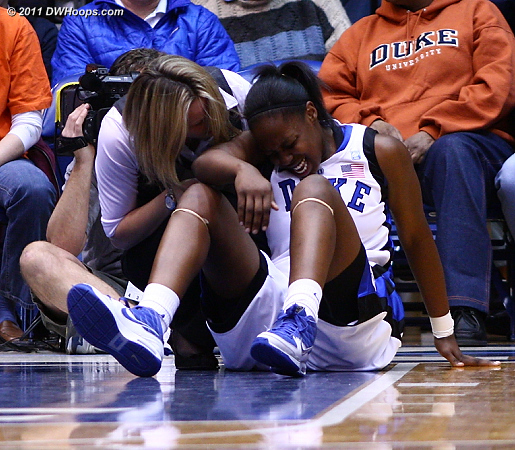 Gray was helped off the court and went straight to the locker room for x-rays. 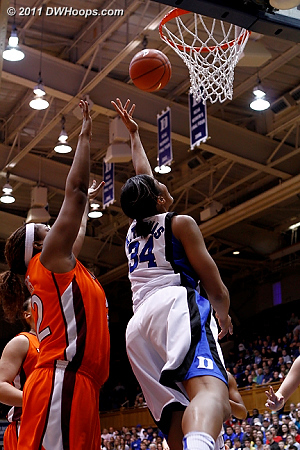 With Duke trailing by one, Karima Christmas hit her first three pointer in Cameron since December. 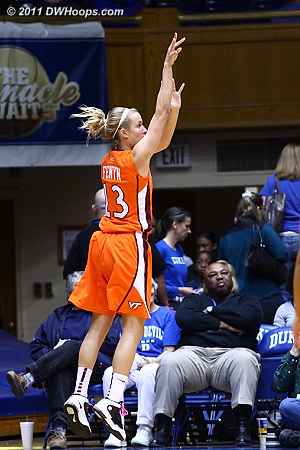 Krystal boarded the Christmas miss, but then threw it away. 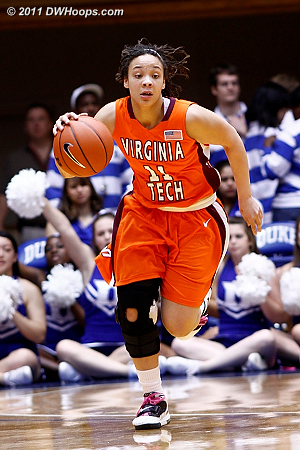 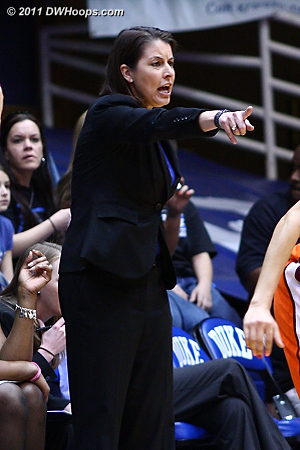 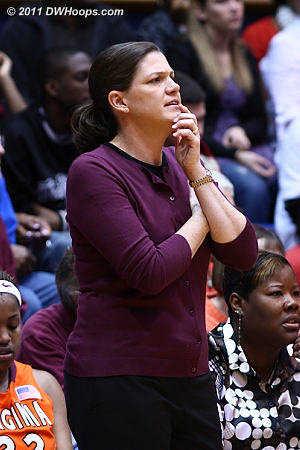 Alli was 1-7 today, Virginia Tech did pack the middle, but many of her looks appeared rushed. 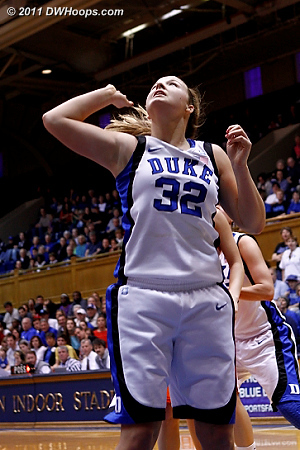 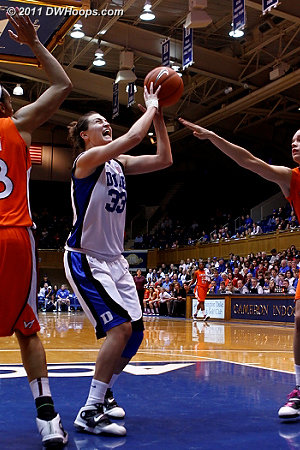 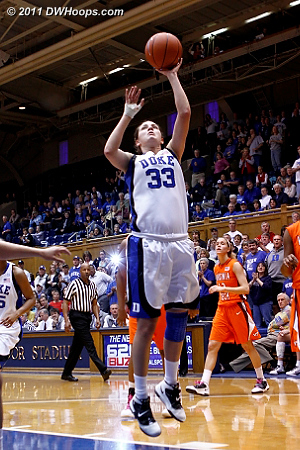 Birthday girl Tricia Liston hit her first hoop and Duke led 15-7. 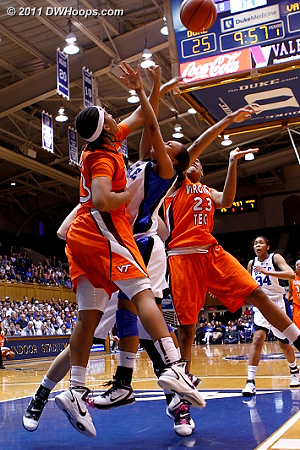 Shay was held scoreless, her best look inside the arc was on this layup. 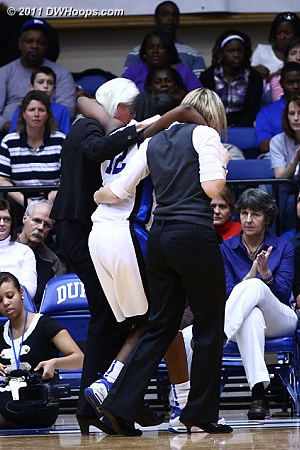 The game in a nutshell - Liston and Selby celebrate one of Tech's 18 first half turnovers - Aerial Wilson demoralized. 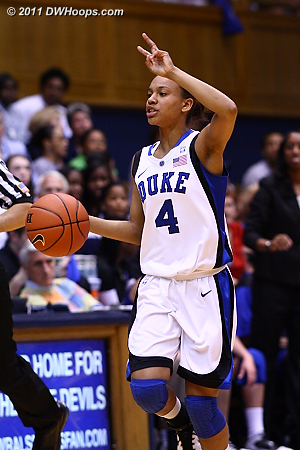 Jasmine's trey capped off Duke's 22-0 run, Devils lead 29-7 with 8:42 left in the half. 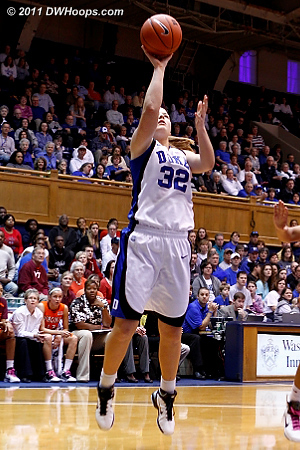 Elizabeth Basham ended the Duke run with this baseline jumper. 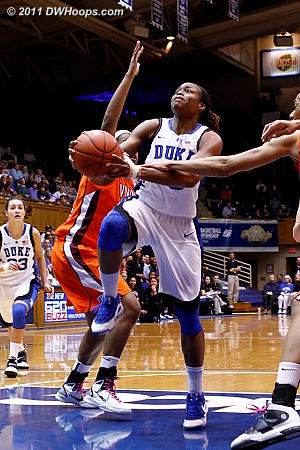 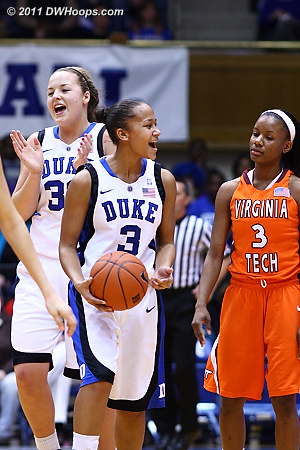 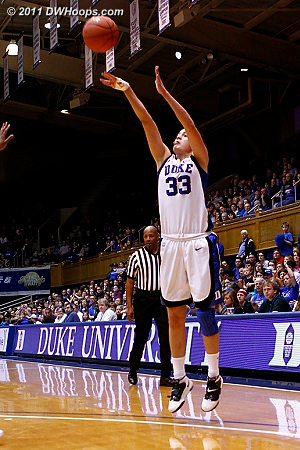 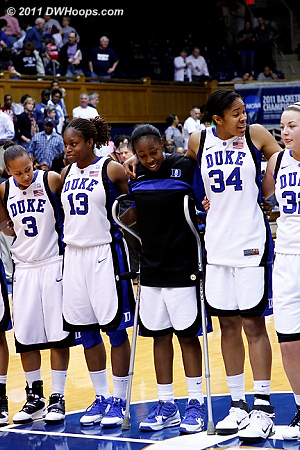 Duke's defense broke down in the closing moments of the first half as Taylor Ayres got free. 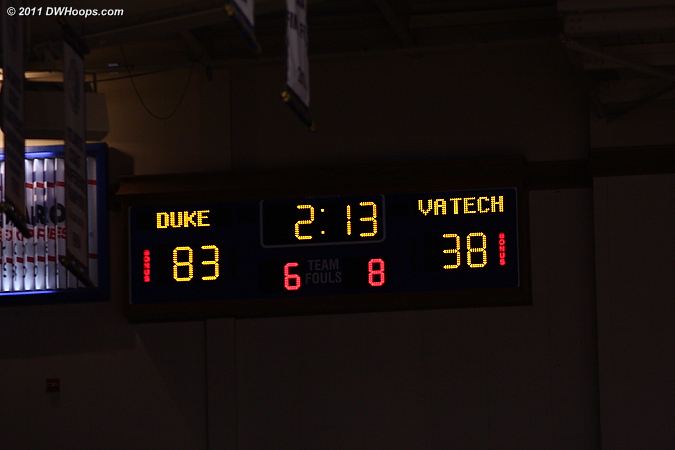 It was still 45-19 Duke at halftime. 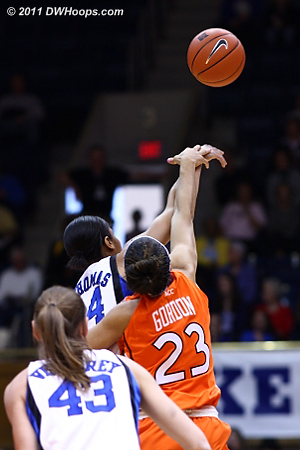 A spectacular play for Karima, but it was after the whistle, Jas had fouled. 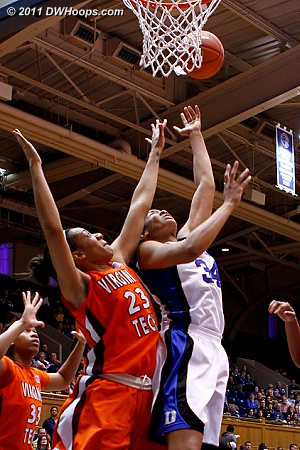 This time Jas got ahead of the pack and finished easily. 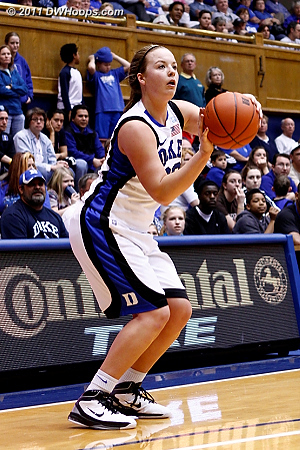 Haley provided the final Duke score, Devils win 90-40. 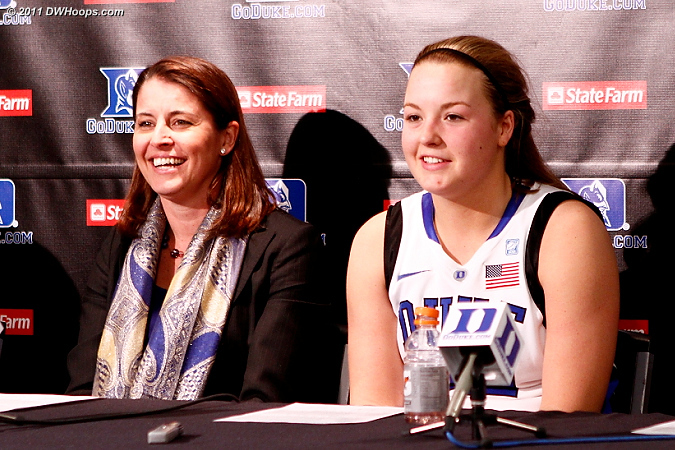 Birthday girl Tricia Liston couldn't remember the last game where she got six steals - just one piece of her gaudy stat line.